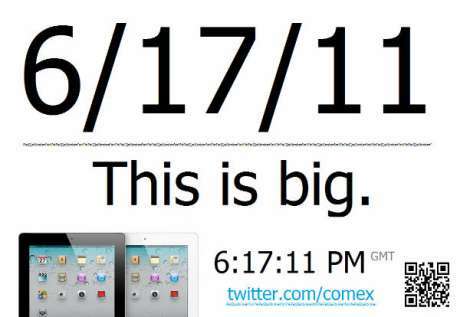 I was on comex’s Twitter about an hour ago when he posted a single image link. I was surprised to see it was what appears to be a flyer for his new jailbreak? When I reloaded the Twitter page it was gone completely. I still had the image in another tab, though, so I saved it to my computer. Perhaps this wasn’t intended to get out yet or maybe there was a delay? I don’t know, I’m just looking at the image unsure if he’s really intending to release it tomorrow or not. This is certainly weird. If this turns out to be true then this is pretty huge news and I hope it does too! 😀 According to image provided, the jailbreak will be released in the lapse of a few hours (10 1/2 hours to be exact at the time of writing). Also, the QR code provided with the image also points to comex’s account.